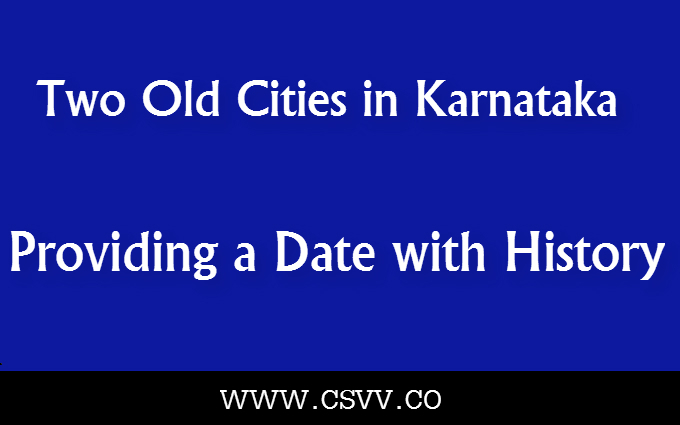 Karnataka being home to different ancient cities is often picked by the happy travelers who like to have a date with the history of south India. Mysore and Hampi are two very old destinations in the state that are full of unique and interesting monuments. Being in the destinations is like traveling back in time to the era, when the cities were in their heydays. Extremely rich in culture and bestowed with a great history, old minarets and plush palaces, sprawling gardens full of different kinds of exotic flowers and shrubs, ethnic dance and centuries old handicrafts, sumptuous culinary cuisines still prepared using the old techniques, there is nothing quite like the historic cities in South India. If you are more inclined towards the checkered history of the country and love spending the vacation discovering secret gems and enjoying the authentic hospitality that is influenced by the ways of ancient times, heading to the historic cities in south India is something that has to be in your travel itinerary. From Pondicherry to Kochi, Kanyakumari to Hyderabad, there exists a number of ancient cities and towns that still hold the essence of the old world in their crumbling structures, deep rooted culture, religious practices, etc. Therefore, providing one a comprehensive glance at the history of south India. So, grab your backpacks, put on those traveling shoes, and get going to the following timeless cities and destinations. Better known as the city of Palaces, it takes pride in being the second largest city in Karnataka. As opulent as the ultra-posh palaces in the city are, so opulent is its history. It is no exaggeration to state that the city is a love-at-first-sight. Set on the base of the mystic Chamundi Hills, it is a place best bestowed with a golden history and numerous remnants from the by-gone era. Its famous Mysore Palace needs no introduction; the UNESCO World Heritage was once the residence of the royals, and today gives a glimpse of the opulence and lavish lifestyle of the past rulers. Besides, the quaint Railway Museum, the popular Brindavan Garden and its dancing fountains, and the holy Chamundeshwari temple are just a few of the various symbols of the city’s electric character. Book the train tickets, book one of the best hotels in Mysore, pack your backpacks and get going to the old city. idencies, citadels, and many other iconic monuments that distinctively identify with the city. A must-visit attraction here is the Pan Supari street, which still retains the ancient references that testify that it was once a very busy diamond selling market. It generally takes about 6 to 7 hours to reach Hampi from Mysore. Plus, the cabs and taxis are easily available. In a nutshell, Hampi and Mysore are two iconic historical destinations in Karnataka, visiting which has to be in your travel itinerary. Due to the frequent availability of flights of Indigo, Air India airlines, Jet Konnect, etc. to Mysore, accessing both the destinations have become easy over the years. Book your flight tickets today and get going to these quaint, old destinations.